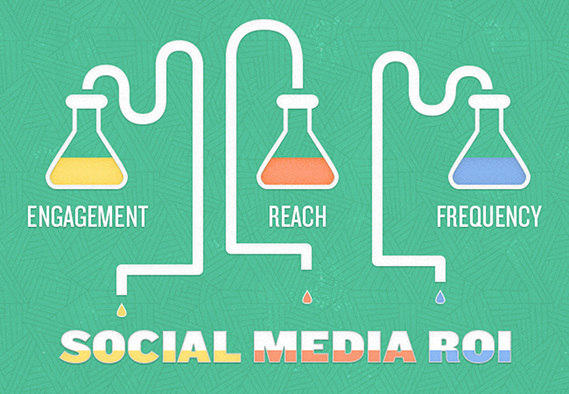 Social media marketing’s ROI can be difficult to determine. It’s a nebulous area, and all the figures are really only estimates. Additionally, they’re only applicable to your business, which means that the return you see may be completely different from what another company achieves, even if you took identical steps and had an identical investment of time and money (which is unlikely to happen). One crucial element in determining the overall effectiveness of social media for your business is to understand the ROI of the time and money spent. Now, understand that the time and money spent on your campaigns will not actually reflect the overall ROI of the entire campaign. It’s just one part of a much larger picture. You’re looking at only one part of the equation, albeit a critical part (a key performance indicator, or KPI). The time and money you’ve got invested in SMM is easily calculated, too. How many hours per day were you active on each network? How much did you invest in terms of content to be shared through these channels? Did you may any other financial investments that apply solely to social media? If you created content that was used on your website, blog, guest posts and in social media, you can only include the percentage of expenses that applies directly to social media. As you can see, calculating ROI for social media marketing in any capacity can be confusing and frustrating. There’s good news, though. Gleanster Research points out that, “Social media is difficult to measure or tie to revenue, but it’s not impossible… [There] are actual tangible metrics that can be tied to a number of different business objectives, including revenue.” The real issue here is in determining the cost of interaction on your social networks. Just how much is a conversation on Facebook or Twitter worth to your company? What if that interaction only takes two minutes and results in a new customer? What if it takes 30 minutes and results in better brand awareness, but not directly in a new customer? To really understand this, you’ll need to take specific steps. First, you’ll need to know your audience growth over time (an important number, but weak when it comes to determining social ROI). Next, you’ll need to overlay those growth patterns with metrics concerning content production and interaction. This will provide a direct correlation between time and money spent (content creation and personal interaction/use). Other important ingredients here include interaction metrics (re-tweets, shares, endorsements, etc. ), as well as influence metrics and action metrics. All four of these (including audience growth/distribution) will provide a complete picture of your social media return, including the return on time and money spent marketing through various networks. Note that before you do any of this, you need to establish an overall baseline against which to measure your metrics. Without a baseline, you have no means to accurately chart progress and success (or your lack thereof).